Whilst purchasing a Julius Pettersson knife blade for my son as a birthday present I saw the wonderful handles created by your readers and decided to purchase a second blade and have a go myself. 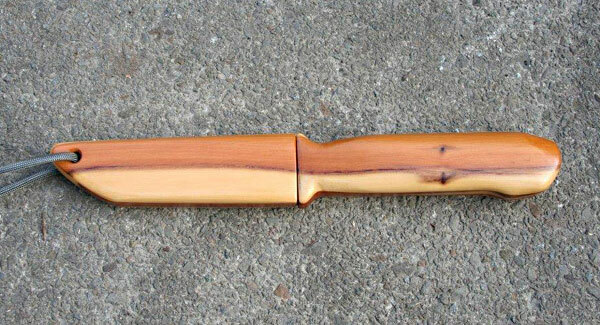 I had recently been given a quantity of yew in small pieces, left over from the bow-making process which I planed flat and laminated together to create a blank for handle and sheath. 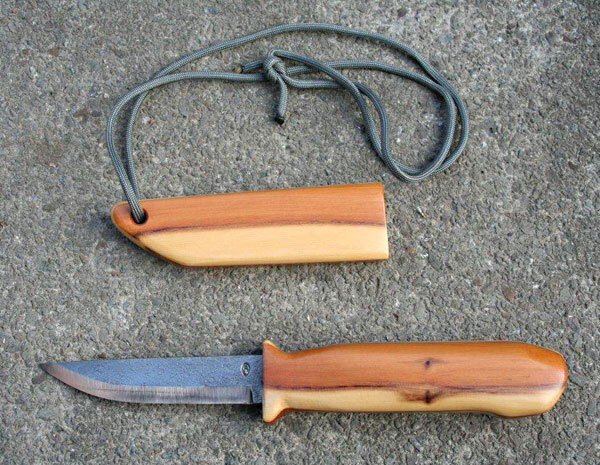 This entry was posted in Bushcraft Clothing & Equipment, Customer Posts on March 19, 2012 by Woodlore Team. Very nice, Steve – I love that! I do believe that I will have to ‘borrow’ that idea and attempt it myself :). Thanks to you (and to all the blog contributors) for posting the pictures of your wonderful pieces. They’re inspiring! The seamless flow of the wood’s grain and colouration is absolutely stunning. Very striking piece of workmanship! 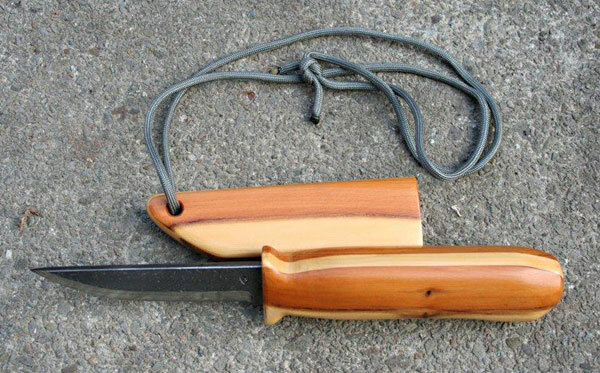 Very impressive.The spring loaded sheath looks fantastic,I’d love to know how you did it.